Since Doctor Who returned to TV back in 2005, it's had its fair share of ups and downs. There have been some brilliant episodes, some terrible episodes, and some that are so plainly mediocre it isn't even worth thinking about them. Yesterday, on the 23rd November, Doctor Who celebrated it's 53rd anniversary since the very first episode aired back in 1963, so it only seemed right to conjure something as a celebration of the show and all it's achieved. Now, I haven't seen much of the original series, so I thought it would be best to take a look at everything that came after - dubbed NuWho - and come up with a definitive ranking of its 25 best episodes. (53 just seemed excessive). Now, I say definitive. Of course, all TV is subjective, but Doctor Who seems to be one of the most polarizing shows in recent memory. It's rare to come across two people who love the show and all it offers for exactly the same reason. All we can agree on is that, in general, it's pretty damned great. So, you can agree or disagree with my choices, you can praise me or slate me for what I personally see in Doctor Who. This is a show so vast and with such endless capabilities that there isn't one true way to look at it. So, here we go. And so, we begin at the end. 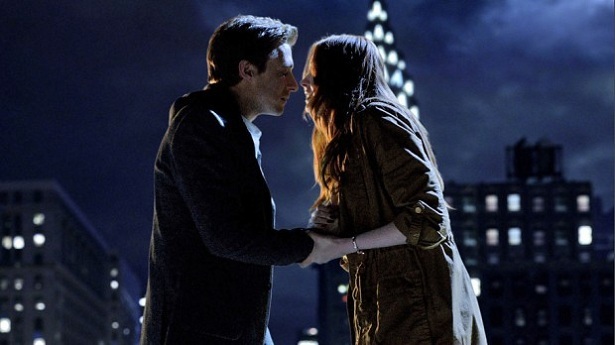 Well, the end for Amy and Rory, at least. For many, myself included, Doctor Who's seventh season wasn't all that great. In its credit, it was tasked with a lot. Season 7 had to: wrap up Amy and Rory's story and bid farewell to them; introduce Clara to the show; develop her relationship with the Doctor; resolve her meandering "impossible girl" arc; put out a 50th anniversary special; and then say goodbye to Matt Smith as the Eleventh Doctor. It had a lot to do and, sure, it crumbled under the pressure. "The Angels Take Manhattan" is far from perfect in that it's almost filled to the brim with plot holes, but the emotional power of its climax is impossible to deny. 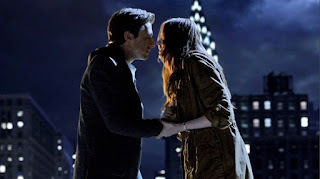 After two and a half years with Amy, Rory and the 11th Doctor, we had to say goodbye, and "The Angels Take Manhattan" did so in spectacular if frustrating style. Acting as the beginning of revived Doctor Who's first ever real three-parter, "Utopia" arguably set the standards a notch too high. The two episodes that followed it (AKA, the season three finale) were messy at best, but "Utopia" perfectly stands alone as a dark and relentlessly compelling piece of television. With Captain Jack along for the ride everything seemed pretty bog standard to begin with, but when "Utopia" dropped its killer, game-changing twist in its resolution, fans across the country realised how fooled they'd been. Doctor Who pulled the same twist again five seasons later, and handled it pretty well then too, but it couldn't dethrone the jaw-dropping nature of "Utopia". 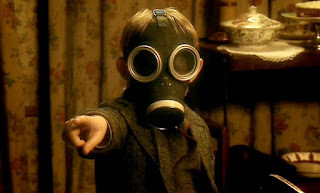 "Are you my Mummy?" the Doctor jokes in the middle of this episode's most intense sequence. That pretty much perfectly sums up what makes Jamie Mathieson's Doctor Who screenwriting debut so brilliant. 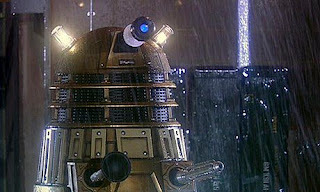 It's a staggeringly intense episode, but it's populated with the little jokes and quips that Doctor Who is loved for. At the same time it's an ingenious story filled with interesting characters and, even eight seasons in, it feels like nothing else the show has tried before. On top of this, it even furthers season eight's fantastic analysis and development of Peter Capaldi's Doctor, as here we begin to see him have fun for the first real time now that he knows he's under threat of driving away the person closest to him. Capaldi's performance here, and at all times, is mesmerising, and just one of many reasons why "Mummy on the Orient Express" is so gleefully entertaining. Doctor Who's most iconic enemy didn't even reappear until the revived season's sixth episode, but what a way to return with a bang. "Dalek" had no right to be a moving episode, but that's exactly what it is. It begins feeling like a contemporary horror piece, but slowly and confidently widens its gaze to something much more touching. After a pretty dull start, Rose Tyler became a genuinely likeable character with serious depth in this episode and, for the first time, Doctor Who dropped something quite special indeed. Doctor Who's fifth season, one of its strongest, was captivating and entertaining and scary and exciting, but it was rarely emotional. 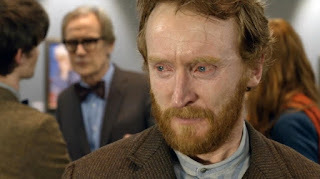 That is, to say, until "Vincent and the Doctor", which remains one of the show's most touching episodes to date. It all starts like a standard, run-of-the-mill story, with the Doctor and Amy popping in to see a famous historical figure. What follows is a bit weird, and maybe too weird for its own good in some ways, but it's all entirely redeemed by the brief sequence that sees an emotionally fragile Vincent van Gogh brought to the future so that he can see just how vital he is to the history of art. Vincent, understandably, breaks down in tears, and you'd be lying if you said you didn't do the same. It's a stunning sequence in an episode that made up for season five's bizarre lack of emotion all in one go. I have to confess to not really enjoying "Midnight" when I first watched it. I'm not really sure why. Last year, I gave it a second shot, immediately realising how stupid I was for not appreciating its ingeniousness the first time around. "Midnight" is terrifying, a claustrophobic and relentlessly intense hour that is entirely impossible to form any solid predictions around. When you think you have it solved, it turns away. When you think it could get tedious, it throws in something new. It takes something as simple as speech and turns it into something horrific. You know when little kids mock you and just repeat everything you say? You'll never view that the same way again. Just pray you don't start repeating them. What do you do, I ask, when you have a central character who is almost always shrouded in mystery? Doctor Who's eighth and ninth seasons tackle that question pretty well, but before that came season 6's "The Doctor's Wife". 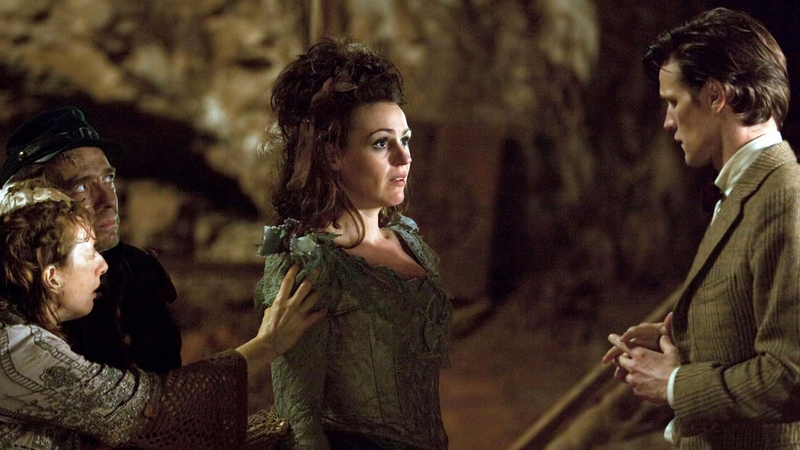 Boasting one of Doctor Who's strongest ever guest performances from Suranne Jones, this episode took on a brilliant concept - a human TARDIS, what's not to love? - and absolutely nailed it. It's wacky, it's funny, but it's also incredibly thoughtful. The show's sixth season had its fair share of ups and downs, but this was one of its peaks. The absolute peak of season six, though? This. 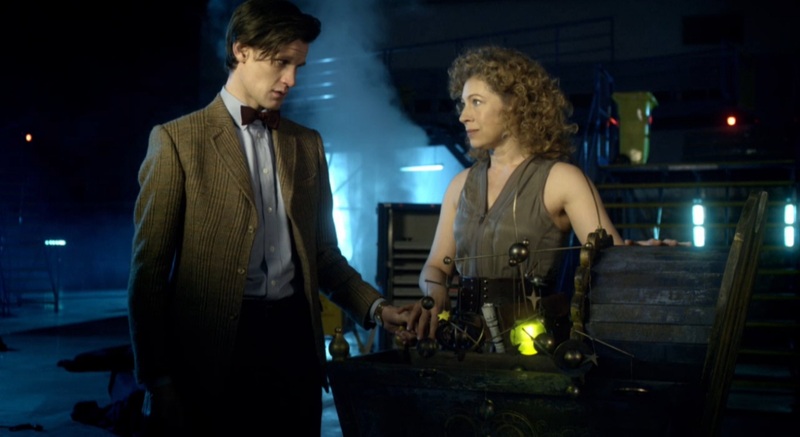 After becoming a character we all knew and loved, the only other question about River Song was who she was, and "A Good Man Goes to War" took on the task of giving us that final answer. It's an almost dizzyingly brilliant episode in so many ways that it's tough to know where to start. This episode has humour, it has heart, it has action and it has power. But that moment, that heartbreaking moment, in which we realise Doctor Who has dropped the same twist on us twice in two episodes? That hurts. After finding out Amy was a ganger in the previous episode, "A Good Man Goes to War" all seems to be wrapping up nicely, until we find out the same thing about Amy's child. It comes so abruptly that it's tough to process in the moment, and then we're lurched into a scene that is the polar opposite in terms of emotional investment. Tonally, it's kind of a mess, but boy does this episode pack a punch. The first conventional two-parter on the list, these episodes boasted a mesmerising story even before they started. The real treat here is that they're both superbly executed, with heartfelt performances and a handful of moments that genuinely get under your skin. But it's David Tennant's episode through and through. 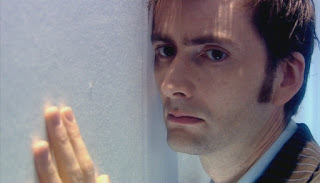 In what is surely his strongest performance as the Doctor, the ordeal he must endure throughout these two episodes is heartbreaking, and Tennant sells it masterfully. These episodes could have been soppy and silly, but instead they rank up there with some of the best. Truly brilliant stuff. 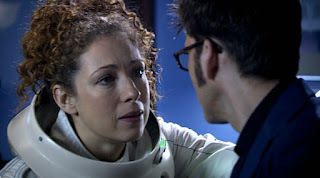 The first episode to make the list from Doctor Who's best season to date, "The Girl Who Died" was the show's first experiment in the way two-part narratives can work, with the concluding episode (which we'll come to later) acting as a kind of sequel set in an entirely different time zone featuring only the same characters. It also makes a bold claim to be the funniest episode the show has ever made. 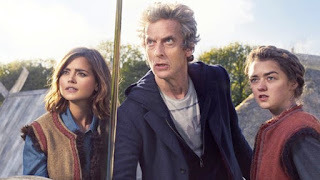 Peter Capaldi and Jenna Coleman finally got to really demonstrate their comic timing and comedic chemistry, and they both gave reliably terrific performances. 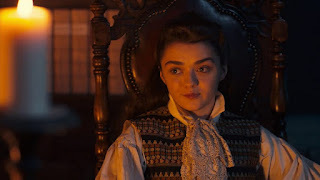 "The Girl Who Died" introduces us to Ashildr, who becomes a vital player in season nine. Rather than use over the top sci-fi gimmicks to defeat the bad guys, here the good guys win thanks to a young girl and her gift for telling stories. But it doesn't all end well, and the episode's final shot represents one of Doctor Who's best and most powerful visual tricks to date. It's stupidly silly episode, but it's also incredibly deep in terms of character work. It's a sheer delight. After nine whole seasons, Doctor Who has never dropped another opener like "The Eleventh Hour". Acting as Steven Moffat's introduction to his brand new era, this one episode accomplishes a hell of a lot all in one go. We meet Matt Smith's Doctor for the first time (and kind of fall in love with him instantly), we get our first appearance from Amy Pond (and kind of fall in love with her instantly), and we get a joyously entertaining story to take us on this action packed ride. It's filled with fun and quirky one liners (fish fingers and custard, anyone?) and it moves like lightning, scarcely pausing for breath. 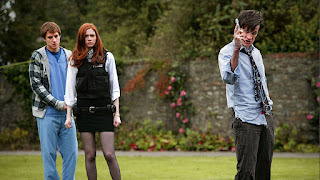 Within moments Karen Gillan's performance turned Amy into a more enjoyable character than any companion we'd seen before, and the whole thing is about as lively and energetic as a kid on a sugar rush. Will Doctor Who ever put out another season premiere as good as this? It's never even come close so far, and it seems unlikely that it ever will. The concluding part to everything "The Girl Who Died" set up, "The Woman Who Lived" took all of the thoughtful character work done there and magnified it here. Immortality is a topic that crops up frequently in Doctor Who, but never before have we seen it discussed with such harrowing depth. Ashildr has grown into Me, so named because she's lived so long with a normal human memory capacity that she can't possibly remember all of the names she's lived. She keeps journals of all she's done, but rips out the tear-soaked pages when the memories become stories that she barely remembers. 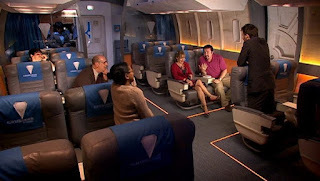 The first half of the episode takes place solely at night, with flickering candles and the distant moon acting as the only available light sources. It's a darkly stunning episode to look at, and it boasts some of the most poetic dialogue Doctor Who has ever managed, all by finding a fresh perspective to look at something we've seen so many times before. Through Maisie Williams' astoundingly confident performance, this episode can hurt - but in all the best ways. Companion departure episodes are a tricky beast. "Doomsday" does it perfectly, "The Angels Take Manhattan" does it with conviction at the very least, but "Last of the Time Lords" and "Journey's End" had no idea what to do with themselves. "Face the Raven" is the best companion departure episode that Doctor Who has done so far. By bringing in Rigsy it feels incredibly personal to Clara, the nature of the episode allows an inescapably claustrophobic atmosphere, and it features the two strongest actors that the show has ever had the privilege of utilising. Jenna Coleman worked wonders across her years on Doctor Who, and when it was time for her to go she allowed us to feel every tiny detail of her journey all in one moment. 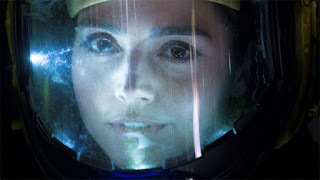 As she walks out into the street to accept her fate, and as Murray Gold's superb soundtrack takes flight, Doctor Who began a three part conclusion that turned into arguably its best material to date. 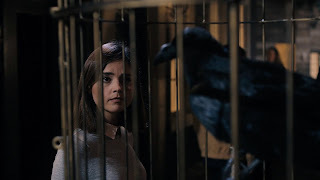 "Face the Raven" is exquisite, but the icing on the cake? It was only part one. "The Stolen Earth" is quite the anomaly on this list. I made sure that every conventional two-parter was grouped together, but this is the sole exception. 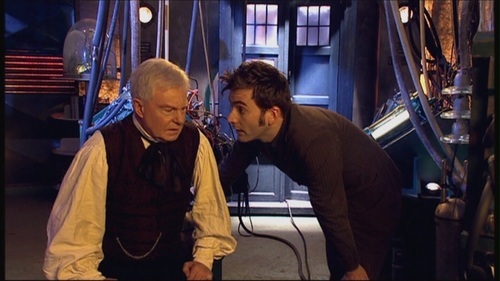 I don't like "Journey's End", the resolution to this episode. I think it's a mess and, if I had to pair them for this list, it's so flawed that it would force "The Stolen Earth" way way down. But here's the catch. I love "The Stolen Earth". I would go as far as saying that I adore it. It is a magnificent episode that, despite featuring seemingly every name in Doctor Who history, still feels incredibly focused. It works on a scale bigger than anything the show had looked at before (and I don't think any episode since has felt bigger than this one), and it all wraps up with one of the most shocking cliffhangers Doctor Who has ever landed. After a fantastic run of episodes, Doctor Who's fourth season reached its conclusion, and even if the endgame was much less than the sum of its parts, it at least has this terrific episode to fall back on. 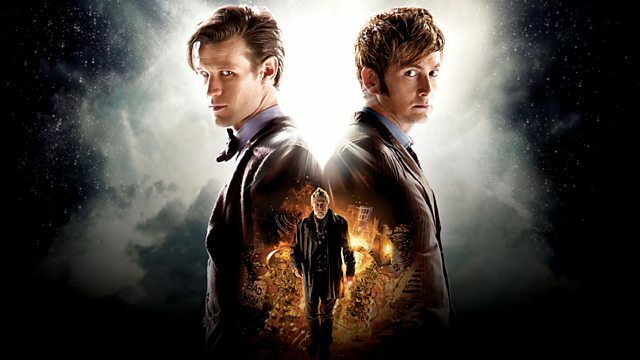 "The Day of the Doctor" had so much riding on it that, to this day, I'm still astounded by how well it worked. It just shouldn't have worked. There's far too much going on and it's all quite nonsensical, but it all just feels so resolutely like Doctor Who. The feature length story struggles a bit in the middle, but it's pulled along by the sheer excitement of having both Matt Smith and David Tennant's Doctors on screen together, colliding wonderfully. It's a brilliantly funny episode, but it's the way it remains so focused on the Doctor, even with everything going on around the edges, that pushes this special into greatness. When it reaches its final moments, and every incarnation of the Doctor comes together to take on the bad guys, it feels a bit silly, but it's silly in the ways that only Doctor Who can pull off. And when the Eleventh Doctor walks out of his TARDIS and stands alongside every other generation of everyone's favourite Time Lord, well, that was something quite special indeed. Earlier on we looked at "Face the Raven", the beginning of Doctor Who's ninth season's endgame. Now, we have the conclusion. "Hell Bent", despite what its aggressive title might imply, could well be the most poignant and intimate finale yet. Rather than focus on an end of the world scenario, or bring in as many bad guys and action scenes as possible, "Hell Bent" simply focuses on the Doctor and his beloved companion, and all that he will do to save her. 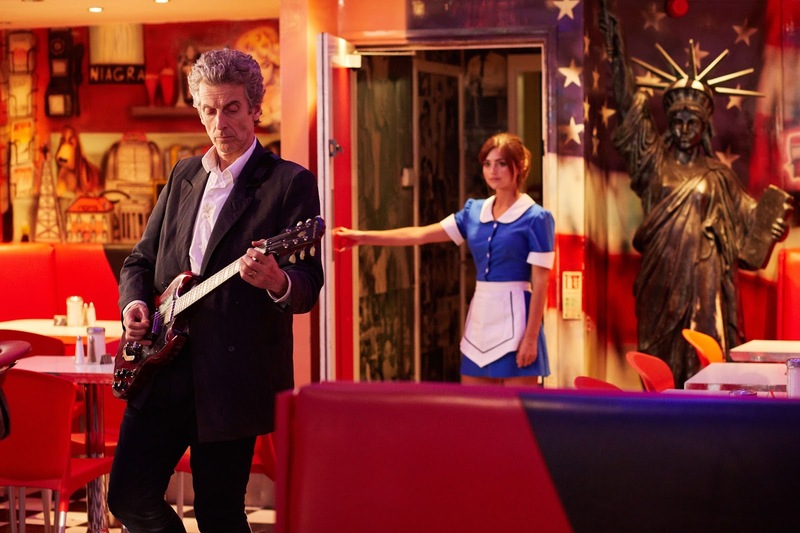 When the episode opens with the Doctor walking into a diner and talking to Clara without them notably recognising each other, we assume they don't remember anything they've been through. But when we return to the diner, post-flashback, we know now that it's just the Doctor with a faulty memory. Clara remembers everything, but she can't tell him. With its quietly moving soundtrack, intimate character moments and heartbreaking end to the best Doctor-companion relationship we've ever been treated to, "Hell Bent" may be the most emotional Doctor Who episode to date. I'll admit, I cried. About five separate times. 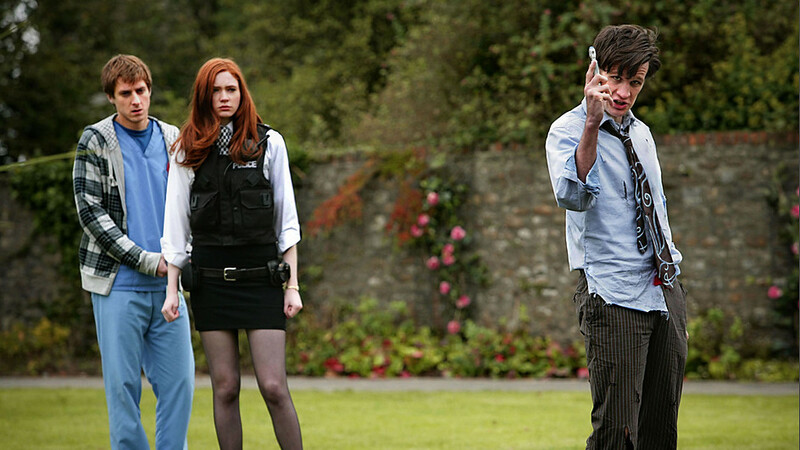 Acting as the first season finale of the Moffat era, both of these episodes felt different right from the offset. They incorporate almost every alien species the show has produced, but they still feel character driven and focused. They were resolved through a mammoth amount of time bending, but they never became convoluted or difficult to follow. They're clever without being pretentious and they're fun without ruining the emotional weight. In other words, they're an entirely perfect pair of episodes to wrap up the show's fifth season. The fact that they end things at Amy and Rory's wedding also signifies another element that I love about the Moffat era - everything is formed around the companion, rather than the Doctor. We need the companion characters to have lives and stories of their own, and this is the perfect example of that. "The Pandorica Opens" and "The Big Bang" are wild, manic episodes, but they're thrilling in so many ways that they transcend "silly" and land on "special". Is "The Empty Child" the most unsettling Doctor Who episode ever? Damn right it is. A child wearing a gas mask asking for his mother shouldn't really be that scary, but the execution of both of these episodes is so masterful that you'll be on edge the entire time. "The Empty Child" is pure, old fashioned horror. It features a terrifying villain character in the form of a child, and it focuses on little more than protagonists escaping a terrifying pursuer. 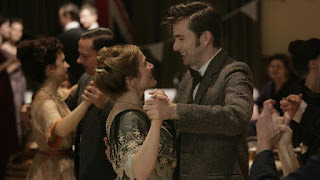 "The Doctor Dances" had a lot of pressure to resolve this story, but it does so effortlessly. It finds angles for emotion that nobody could have predicted, it locates softer moments for character building, and it all wraps up in a sequence so powerful in so many ways that it's impossible not to fall in love with it. After a terrible first attempt at a two-parter (Slitheen in Downing Street? No thank you. ), Doctor Who absolutely nailed the format the second time around, and gave us two of its strongest episodes in the process. For many, season four is Doctor Who's best. While I find the first half wildly uneven - it ranges from the excellent "Planet of the Ood" to the frustrating Sontaran two-parter - it really does come into its own after the midway point. These two episodes are home to some of the most ingenious storytelling I've ever seen on TV, and the fact that they accomplish so much in just ninety minutes is astounding. The first part is a terrifying episode that gets by on superb cinematography and a fantastically inventive alien species, but in "Forest of the Dead" the real brilliance of this story begins to unfold. With Donna trapped in the fake world, Catherine Tate gives her definitive performance in this episode as we watch an entire life unfold in front of her before it's slowly and cruelly ripped away. Back in the library, the enigma of River Song becomes something abnormally moving, and her story ends on a sequence that only becomes more powerful with every future appearance she made. 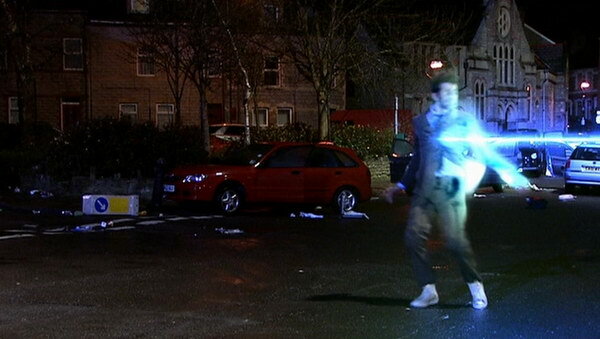 This is Doctor Who tackling so many things at once, and making it look so damn easy that it'll take your breath away. 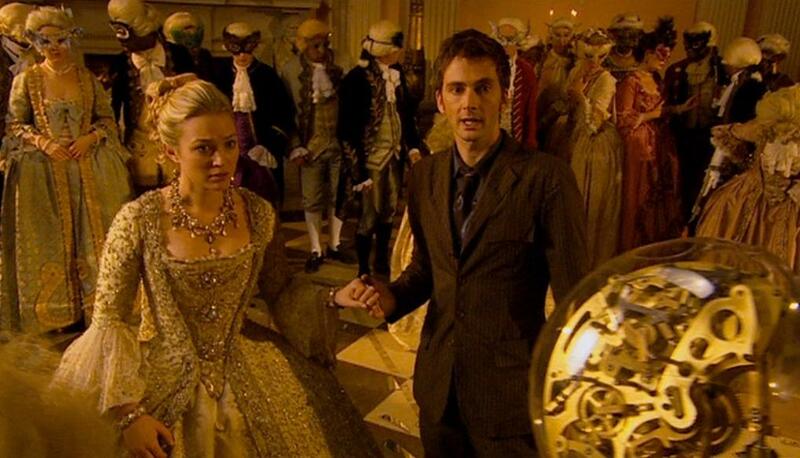 "The Girl in the Fireplace" was the first episode of Doctor Who I ever saw, and it stuck in my heart from that very moment. It's the story of a lifetime that literally takes place before us, only at random bursts and intervals. The concept alone is a highly emotional affair, but in execution this becomes so much more. After three solid if unremarkable episodes, David Tennant truly became the Doctor here, giving a deeply heartfelt performance that carries the episode through to its highly moving conclusion. Much like most Steven Moffat scripts it's also pretty funny, and it boasts an advanced alien race that you definitely don't want to find anywhere near your bedroom like poor Reinette did as a child. As we watch Reinette grow up, it's impossible to predict whether this will end happily or not. Eventually, all turns out OK as the clockwork robots are defeated and everything returns to normal, only for the episode to then promise us something magical and swap it out for something heartbreaking at the very last minute. In what may be the saddest Doctor Who sequence ever, David Tennant proved for the first time that he was a lot more than the giddy, wacky Doctor we all thought he was set to be forever. "Kill the Moon" may be the most polarizing episode on this list. In fact, it may be the most polarizing Doctor Who episode of all time. The critics were split - some label it a classic, some label it an abomination - and audiences couldn't make their minds up either. Personally, and evidently, I absolutely adore "Kill the Moon". Everything starts neatly, it seems like a standard Doctor Who Goes to The Moon story, but then the episode drops its killer twist with one of the show's most brilliantly bizarre lines - "The moon's an egg". Then that was that: the Doctor left Clara to decide what to do, Clara requests the help of the entire human population, a newborn alien is almost murdered for no reason, and everything turns out OK in the end. 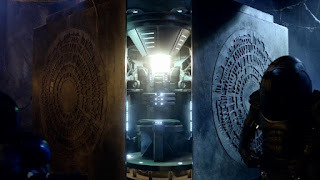 When the Doctor and Clara return to the TARDIS, however, we realise that everything most certainly did not turn out OK. Clara breaks down, angrily crying at the Doctor for the horrific situation he put her in, and for the first real time we saw the Twelfth Doctor's hard outer shell begin to crack. Jenna Coleman gives the best performance from, quite frankly, anyone in Doctor Who history, and suddenly the unbreakable Doctor-Companion bond we watch the show for felt very much broken for the first time. "Kill the Moon" took one hell of a risk, but boy did it pay off. 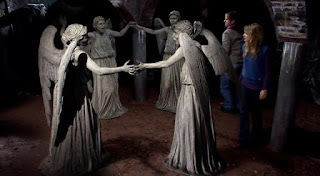 There's a common consensus that Doctor Who got considerably more cinematic with Steven Moffat at the helm, and no episode demonstrates this more than "Heaven Sent" - AKA, the middle (and best) instalment of season nine's closing trilogy. 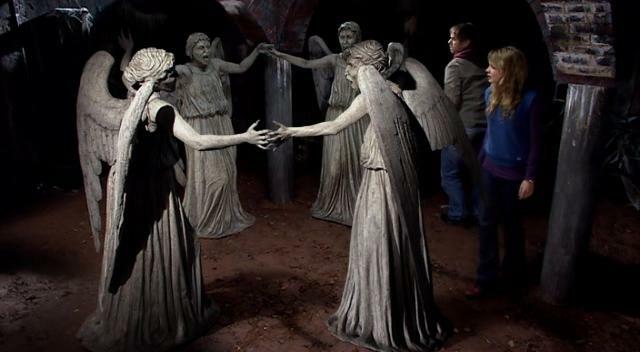 "Heaven Sent" largely features no dialogue from anyone besides the Doctor, setting up unquestionably the biggest challenge the show has ever faced. 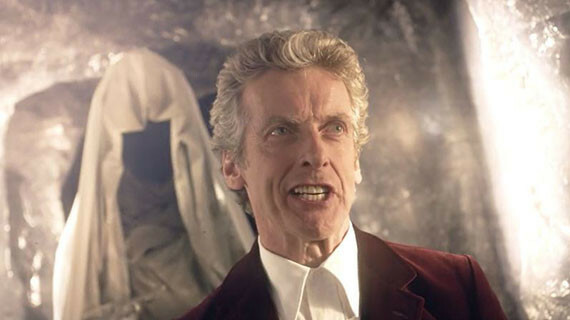 But, as he always does, Peter Capaldi blew us away with his performance. The range of emotions he works through in this episode is staggering, and the way the whole story hinges on his anger and devastation over Clara's demise capitalises on season nine's central theme of death and mortality. Rachel Talalay directed the hell out of this episode, rendering it the most visually breathtaking hour since Doctor Who returned to screens. "Heaven Sent" is brilliant for its first 45 minute, but when the pieces begin to fall in place in that final act, it really proves just how big the whole ordeal really is. "Heaven Sent" remains Doctor Who's greatest achievement, a monumentally experimental episode that lands each and every moment with a deft precision that allows it to feel more like a film than an episode of something on BBC One. This is dark, grown up sci-fi at its very best. Widely perceived as Doctor Who's best story post-revival, "Blink" is phenomenal television in almost every single way. 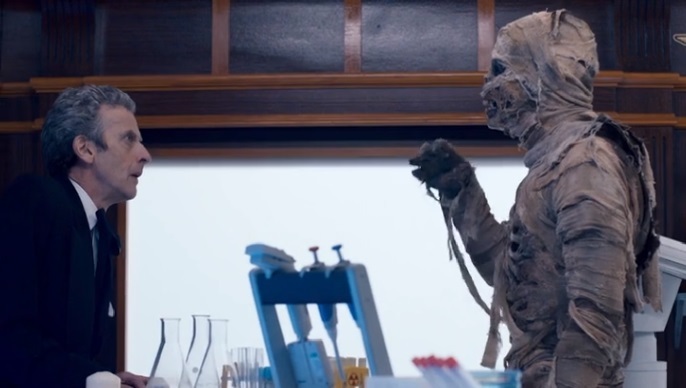 The strangest thing about "Blink", though, is that it doesn't really feel like an episode of Doctor Who. The Doctor is hardly ever seen, and only really surfaces on the outskirts of the story, with the episode instead focusing on Sally Sparrow. The performances are all great, it's pretty damn scary, it looks really good, and it introduces the best alien race ever seen in Doctor Who. Where "Blink" excels, though, is in its script and plotting. The story that unfolds across these 45 minutes is incredibly intricate and smartly pieced together, then when everything becomes clear at the end of the second act you feel the hairs on the back of your neck stand up. It isn't even dropped as a sudden twist, either. More a gradual unfolding as everything pieces together, followed by a sequence so frightening I'm still amazed the BBC agreed to air it. "Blink" is intelligent sci-fi writing that never once borders on cocky or pretentious, it always pulls back whenever it could risk going overboard. Sally Sparrow became a character we all longed to see again, even if we knew it would never happen, and through her story Doctor Who landed an episode so clever that, to this day, I still smile at its conclusion no matter how many times I've seen it. "Listen" may be the most human story that Doctor Who has told. It focuses on fear, and how driven we can be to put something traumatic behind us. It looks at the tiniest moments and how something so small can have such a big effect, positive or negative. I had a tough time deciding between "Listen" or "Blink" for the top spot, but I ultimately chose "Listen" because it feels so resolutely like Doctor Who, even though from the outside it might not appear so. Doctor Who is about friendship, and wanting to take a person you love on the adventure of a lifetime. It's about seeing the extraordinary and living an unimaginable life. "Listen" capitalises on all of that, and binds it to both the Doctor and Clara simultaneously without breaking a sweat. We understand the Doctor's fears, and we understand Clara's difficulties with him and his personality. "Listen" takes both the Doctor and Clara on a journey to the end of the universe, but this setting is essentially irrelevant. It's the barn in the episode's conclusion that feels so powerful. After it is so brilliantly revealed that Clara was the one who unintentionally sparked the Doctor's fear of this potentially new species, she has to resolve it herself. She can't ask for help, she can't take some time to think it over, she has to act. 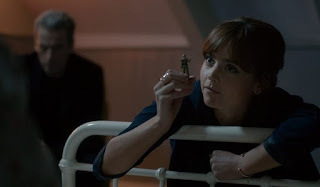 After grabbing the young Doctor's ankle from under his bed and igniting his fear of the unseen entity, she calmly and quietly eases him back to sleep by telling him all of the things she has learnt from the Doctor. She talks about how fear is important, how it can guide us through life and how fear is something that we can make work only for ourselves. It's a beautifully written piece of dialogue, and the montage that accompanies it wraps up all of the episode's subplots as well as connecting all of them with the monologue itself. 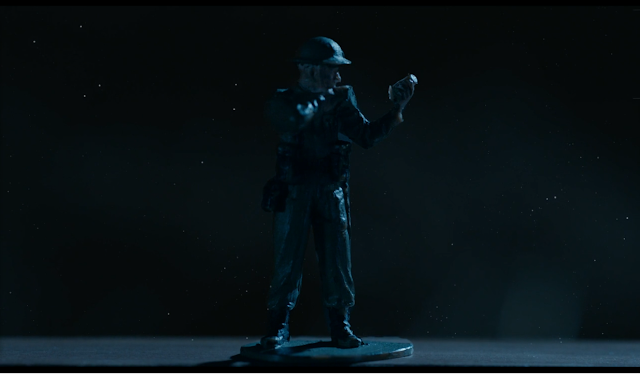 As Clara finishes talking to the young Doctor, she leaves him the unarmed toy solider. A toy that she first saw briefly only hours ago, but has passed through entire families between the times she has held it. To her, it represents the Doctor, so who better to leave it with as a symbol of everything this young boy will grow up to become? "Fear makes companions of us all."